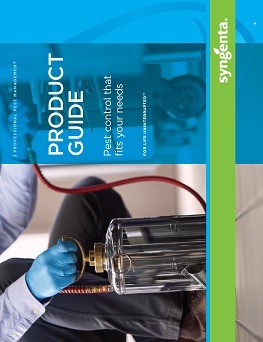 View the Labels/SDS information for Talon Weatherblok XT Rodenticide. With the active ingredient, brodifacoum, Talon® Weatherblok® XT rodenticide is formulated for outstanding weatherability and palatability to control rodents with a single feeding, even in harsh conditions. 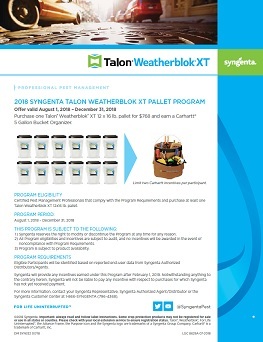 Receive yearlong rebates on purchases of Talon Weatherblok XT with the PestPartners℠ 365 Program. 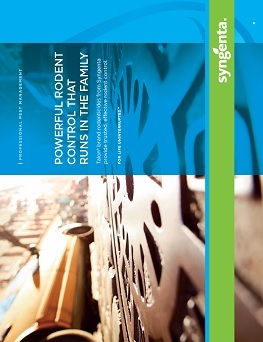 Learn more about the features and benefits of the Talon family of rodenticide products.